When one mentions George Orwell, most people immediately think of Nineteen Eighty-Four. But a few years earlier Orwell had written another little book, a novella titled Animal Farm. Nineteen Eighty-Four is undoubtedly Orwell’s master work, with it’s terrifying depiction of a society where every citizen is watched so closely that even talking in your sleep can get you arrested and where the rulers are so confident in their power that they entertain themselves by allowing individuals the illusion of freedom and rebellion, only so that breaking them later is that much more devastating. It is a warning of where we can end up if we sit back and let those in power have too much. But more significant in my eyes is Orwell’s little fairy tale, as he called it, for Animal Farm shows us just how easily society can reach that state. Animal Farm, for those of you who’ve never read it, is a fable about a bunch of farm animals who rebel against their human master, run him off the farm, and start working the land for themselves. In case you missed it, on Monday thebookboozer wrote a rant about George Orwell’s Nineteen Eighty-Four. Yesterday I expressed my opinion on the specific points she raised for not liking the novel (to which she graciously responded). Today I’d like to advance my theory as to why she did not enjoy the novel and propose how one should approach this novel, and really any classic novel, to get the most out of it. 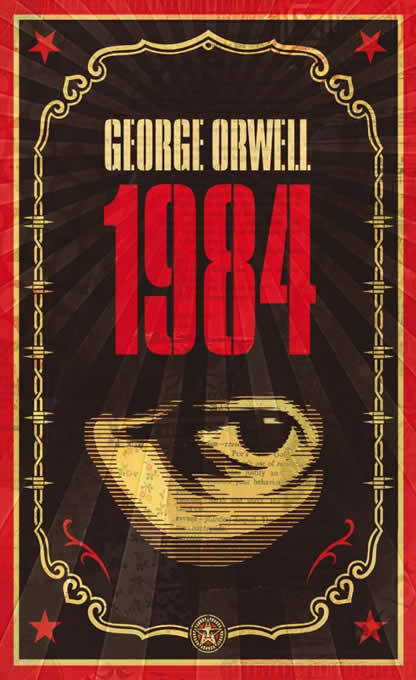 On Monday thebookboozer posted a rant about George Orwell’s Nineteen Eighty-Four. She didn’t like it. At all. In fact, I think she used the word ‘hated’ in her commentary. This intrigued me, as I think it’s a brilliant novel, perhaps not in terms of the writing, but definitely in terms of content and message. I decided, rather than hijack her comment section with my thoughts, I’d write my own post to respond to the reasons thebookboozer gave for disliking the novel and explain how I think one should approach the novel to truly get the most out of it. Just in case you’ve never heard of this book before (you barbarian), a few quick facts: Eric Arthur Blair, under the name of George Orwell, wrote it in the late 1940s. He died shortly after publishing it. He wrote a few other novels during his life, but none so famous as Animal Farm, which preceded Nineteen Eighty-Four and is about a bunch of farm animals who rebel against their master and start running the farm for themselves but is actually a satirical allegory of the rise of communism in post-revolutionary Russia. Both Animal Farm and Nineteen Eighty-four carry the same message: they want to warn us of the danger of not thinking for ourselves and giving too much power to those who govern over us. According to Wikipedia these two books together have sold more copies than any two books by any other twentieth-century author. Most people in the English-speaking world are forced at one time or another to read Animal Farm during high school (I can recite significant portions of Animal Farm from memory – occupational hazard of being an English teacher), which is a shame, really, as they end up hating what is really a delightful little novella. On the other hand, for some reason people think there’s something wrong with them if they have not yet read Nineteen Eighty-four, or at least, that’s the only conclusion I can draw from the fact that it’s the book most people have lied about having read.